Clean, comfortable and private indoor areas for both long and short term overnight dog boarding. Excellent, What Are Your Rates? Impeccably clean and safe canine boarding facility with stimulating exercise and fresh air for your loved one! Our very popular program will tire out your special friend, so when you come home – you can rest! 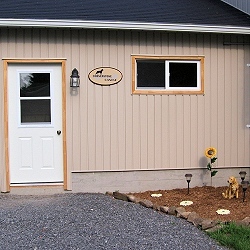 Cornerstone Canine was established in 2004 by Art and Sheryl Chillson and has become a premier dog boarding kennel in Brockville, Ontario. Our facility was designed to cater to the physical and mental well being of our visitors. 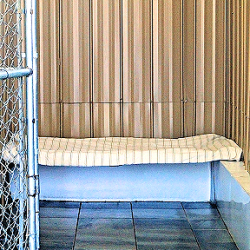 We strive to have an impeccably clean, safe, and well-run canine boarding facility. As animal lovers, we will care for your pet like they are our own. 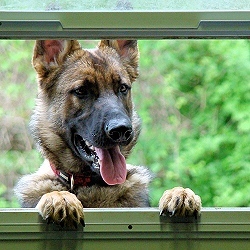 We offer long and short term overnight dog boarding as well as our extremely popular doggie daycare services. We provide a climate-controlled indoor canine boarding facility set on 49 acres. We promise a stimulating environment filled with fresh air, exercise, and individual attention to keep your dog happy and content while you are away. We want to be the perfect option for your canine companion.